Our main business is thermal circuit breakers, thermal switches, bimetal thermostats, high temperature regulators, thermal protectors and connectors as well as temperature limiters, time distributors and start-up relays. We have been improving our products for many years to assure high quality and unfailing operation. Thermal switches , bimetal thermostats, high temperature regulators, thermal protectors are used in a wide range of electrical devices whose normal work is characterised by significant increases in temperature what may lead to thermal damages in device isolation. 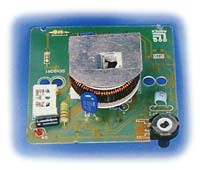 A correctly chosen thermal switch can guarantee to keep temperature below the acceptable value which was assumed in a design stage of the device. Due to diversified and flexible production process we can offer a wide range of automatic and non-automatic thermal switches and many other products. 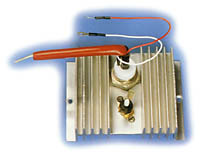 The principle of operation consists in strokewise deformation of bimetallic sensor after a defined temperature level is exceeded and disconnection of electric circuit. After decrease of temperature level the sensor returns strokewise to its initial position and the circuit gets connected again.